This Division conducts vigorous theoretical research from a microscopic point of view at the forefront of contemporary condensed matter physics, statistical physics, and materials science, also in collaboration of experimental groups. Its goals include theoretical elucidations of experimental results, developments of new concepts describing collective behavior of interacting systems, useful theoretical modeling of materials, and predictions of novel interesting phenomena. The topics in recent research span diverse areas as quantum phase transitions and critical phenomena in quantum spin systems and strongly correlated electron systems, heavy-fermion physics, superconductivity in various materials, frustrated systems, dynamic processes and catalysis at surfaces, and quantum transport and interactions in mesoscopic conductors. 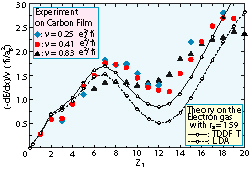 A wide variety of methods, including modern approaches based on mathematical concepts such as topology, quantum field theory, and large-scale state-of-the-art computational approaches such as quantum Monte Carlo simulations and ab-initio calculation of electronic structures based on the density functional theory, are utilized to investigate these problems. As a whole, this Division and related theory groups cover a wide range of topics and approaches in the cutting-edge condensed matter theory.